This is the part of every vacation that depresses me greatly. The last day I'm re-engergized, wanting to breathe in every bit of beach/city/country air. Then I get excited for the journey home. But the day just prior? Awful. Simply awful. It reminds me that the euphoria of a phenomenal vacation is about to be stripped away, leaving me cold and alone. But Amara and Trixie made this last day-eve as enjoyable as it could be. Soaked up as much Jersey Shore as possible. Gawd, I'm going to miss this place. 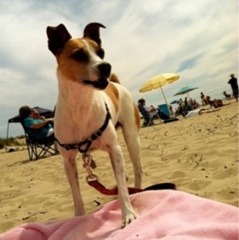 North Cape May beaches are dog friendly! Plenty of pet owners had their dogs with them on the Delaware Bay. I never thought I would be one of those people to travel with their pets, but after taking Trixie to both Hocking Hills and now the Shore, I can't imagine not traveling with her. It's so nice to come home to her sweet face! I just wish Wildwood had more restaurants with patios. I expected to find more establishments with tables set up outside. Visit the beach. Spend all day there. Do it a lot. We ate in the dining room of The Lobster House for lunch. But we didn't have time this week to eat at the raw bar. There just wasn't enough time for us to eat fresh seafood! Amara had clams (better than having crabs) for the first time and loved them. I love my little foodie! 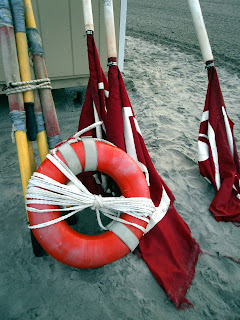 We went to Cape May and hung out at the bay. Fried clams taste awesome. I tried fried shrimp and fried clams and guess which one I liked better?? Clams are great and very tasty!! Sunbather as much as you can! It got me really tan this vacation. I did everything I wanted to do so NO COMMENT!!!!!! Why is it so hard to boogie-board in the bay! I just layed down on my stomach on my boogie-board, and layer there.